Most rare diseases have a genetic component, making access to an animal model with the associated gene mutation a must for developing new therapies. Yet these diseases don't often attract the funding to develop a genetically engineered model of the condition. With the help of Taconic Biosciences, two investigators studying Vici syndrome now have this essential research tool in hand. Vici syndrome is a severe congenital multisystem disorder characterized by the failure to develop the corpus callosum region of the brain, along with a cardiomyopathy, cataracts, hypopigmentation of the skin, eyes and hair, and a combined immunodeficiency. Only twenty cases have been identified to date, making it difficult to attract the resources necessary for progress towards effective intervention. A mouse model with a specific EPG5 mutation found in Vici syndrome patients was generated by the Taconic Genetically Engineered Models (GEMs) Design team using CRISPR/Cas9 gene editing. 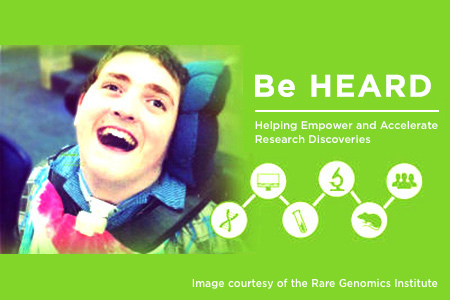 As a sponsor of the Rare Disease Science Challenge: BeHEARD, hosted by the Rare Genomics Institute, Taconic donated the rodent model development. In December 2016, Taconic delivered the Vici syndrome model to investigators working on the BeHEARD project: Mathias Gautel, BHF Chair of Molecular Cardiology at King's College London BHF Research Excellence Centre, and Heinz Jungbluth, Reader in Pediatric Neurology at King's College London, and Consultant at the Evelina Children's Hospital, Guy's & St. Thomas' NHS Foundation Trust, London. "The speed of generating the model is a demonstrated benefit of CRISPR and a major advantage for the project," Professor Gautel and Dr. Jungbluth said. "The precision of the genetic manipulation by Taconic and their speed of delivery were critical to our work." The Vici syndrome model has been validated genetically by Taconic; now it's up to the investigators to characterize its functionality. "By spring 2017, we expect to see functional evidence of the model replicating the human phenotype in terms of neurological and musculoskeletal symptoms," Prof. Gautel said. "If the model replicates the human phenotype with significant fidelity, it could be applied quite rapidly to screening drug compounds for Vici syndrome." Some compounds already used clinically in other conditions could become a screening target, with the goal of improving patient quality of life. "Even a small restoration of protein function could have a large impact on the condition," Dr. Jungbluth noted. Rachel and Michael Harris, parents of 10-year-old Vici syndrome patient David, are excited the model was generated successfully, grateful to Taconic for donating it, and hopeful for the future. "While the initial research is focused upon understanding the disease mechanisms, we hope to soon see translational research that will bring new therapies to David and other patients," said Michael, a bioinformatics scientist. The Harris family is in discussions with several institutions that may collaborate on a drug screening study supported by the new Vici syndrome model, a critical next step. They also plan to start a foundation to help support families struggling with Vici syndrome and to raise money for research.